Make your home feel a lot more furnished and complete by introducing this wonderful Pia Chandelier. This chandelier has a very unique and eye-catching design that'll be sure to stand out and impress, whilst creating a homely atmosphere in any home. 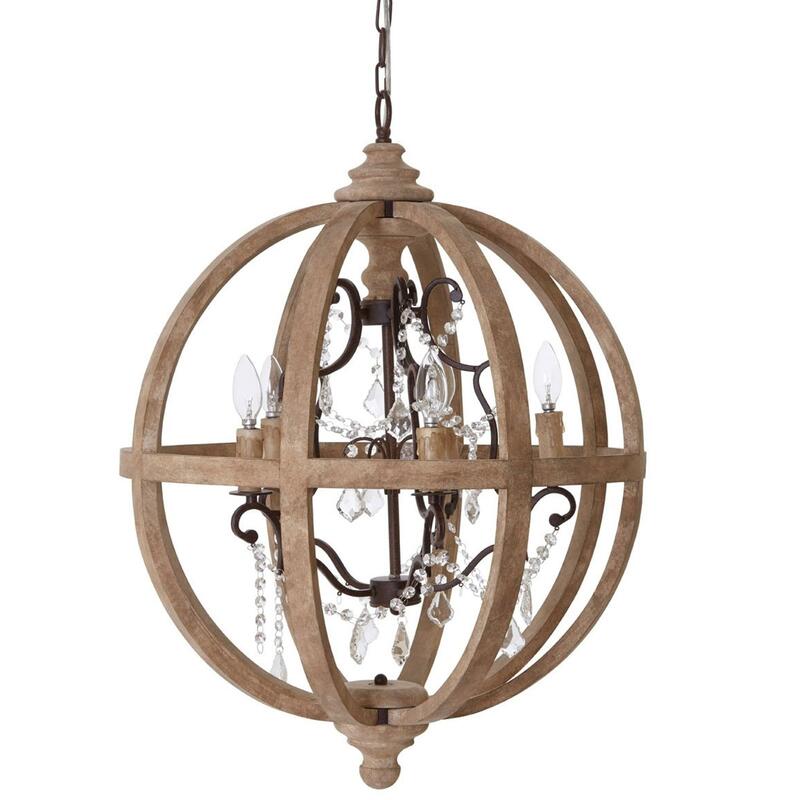 The chandelier features jewels hung from its arm, with a spherical wooden case to add a homely style.